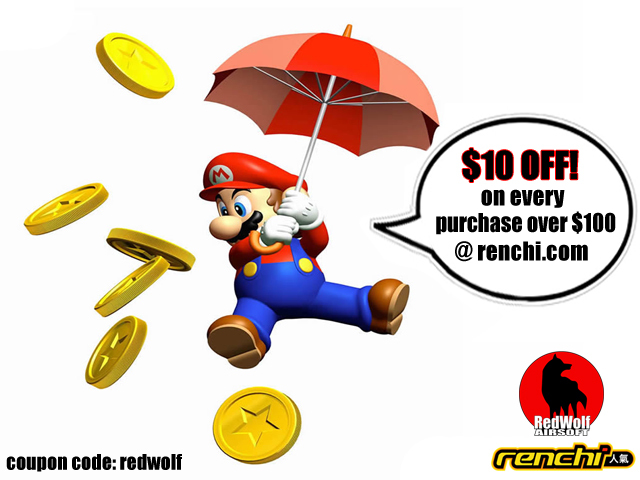 Special Offer for Redwolf Customers - shop at our sister site renchi.com and receive $10 off for a purchase over $100!!! For all the latest and greatest video games, consoles & accessories at the best prices, there's only one place to go: renchi.com. Redwolf Customers receive a special bonus in the form of $10 back for a purchase made totalling over $100. All you need to do is to use the coupon code, seen on the promotion picture above, at the renchi.com buy page. Offer ends on the 31st October 2007, so hurry on down to renchi.com - don't miss out!! !